Consumers no longer reach for the Yellowpages when they need a product or service. To find companies these days people use their computers, laptops, and now, increasingly, their tablets and mobile phones. You no longer have to spend thousands or tens of thousands of dollars for ad listings. With clean, professional, and optimized webdesign you can reach a much wider audience for a fraction of the cost. Websites are a primary platform for communication. Your website is one of the most important ways of communicating with your clients. People looking to contact you are just as likely to interact with you via your website, social media, or email as they are to call your office. In fact some people would prefer communication through the internet. Having a well-designed website that puts user interaction forward is essential to customers being able to reach you. The internet levels the playing field. On the internet no one knows how talented you are, how professional you are, or how good, unique or amazing your product or service is. They don’t know all of your employees and they do not know the environment of your office. They only know about you what they are able to gather from the internet. Wouldn’t you want to put your best foot forward and look professional and trustworthy? Credibility is one of the most important reasons to have good webdesign. If your website is more professional than your competitors’, people are more likely to call you first! You will be considered for more webdesign projects. When people are looking for the best webdesign company to fulfill a project or participate in a bid, it is very likely the first place they search is the internet. They will look up bid participants to understand their previous projects, reviews to see what kind of services you provide, and they will visit your website to learn more about you and your company. What they find there will influence their decision making process. Make sure you make a lasting impression. Your website reflects who you are as a company. When you get dressed to meet with a potential client, what do you wear? Do you wear that old pair of jeans with holes in the knees and the same shirt you wear while you do yard work? Or do you wear clothes that are clean, professional that shows the client you are the right person for the job? The appearance of your website has the same concept; your website is often the first tool people will use to form their judgments about you/your company. What kind of impression is your website currently making? At the very least, it should be clean and professional. 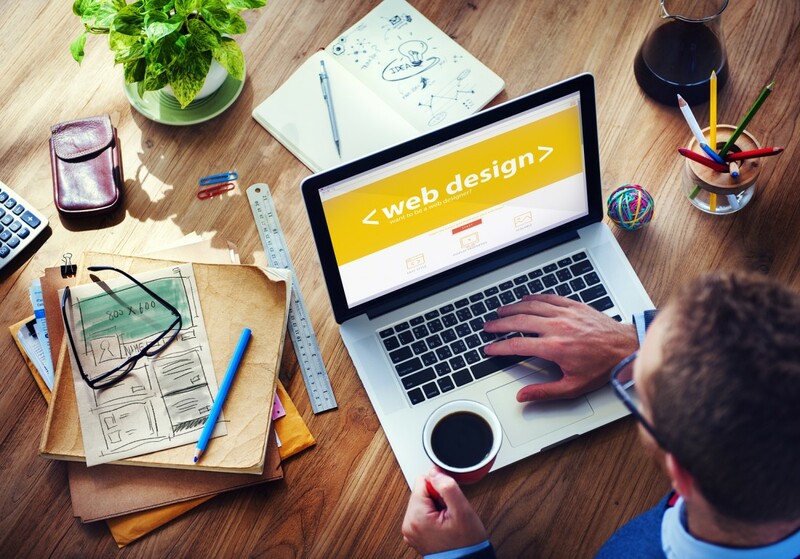 If you work with the area’s best web design company, however, it should be so much more than that; your website should be a direct reflection of the values, personality, and culture of your company. Imagine having a sales or marketing staff member that works for you 24 hours a day, 7 days a week, does targeted prospecting for your company, and costs you less than a minimum wage employee for a year. Having a professionally designed website and an efficient SEO marketing partner is one of the most cost effective ways to advertise. When you compare it to more traditional marketing avenues, such as TV, radio, and billboards, the value becomes very clear! People research online before they buy. How many times have you heard someone say: “Let me Google that”? If someone were to Google the product or service you are trying to sell, would they find you? Would your website appear among the first listings in the search engines? Before people buy products, they now go online and do some research. If you can provide them the information they are looking for, and show a trustworthy and creditable presence, you have a great chance of earning their business. A well designed and optimized website is the first step in engaging people when they’re doing their online research. It is one of the most cost effective methods of advertising. Radio and TV advertising campaigns can be ridiculously expensive. The newspapers are more reasonable, but their readership is dwindling. Websites, however, usually have a low entry cost and an ongoing Search Engine Marketing campaign can be very reasonable. The beauty of it is also that the effects are cumulative. Your TV or radio ad, once paid for and run, is gone. Web campaigns stay on the internet, providing ever increasing influence and value to your brand. 10. You will reach a broader audience. The internet used to only be a place for young people. While they are still one of the largest demographics online today, now more than ever is it a diverse place where everyone can be reached. By designing your web site and Search Engine Optimization strategies appropriately, you can target different segments of the marketplace with relevant information. So what is the best way to go about all of this? In an ideal world you would be able to handle all aspects of your company by yourself. But if you are like most business owners you know that there is never enough time in the day. The best decision you can make for the success of your company’s marketing is to put it in the hands of professionals who have made web design, local SEO and corporate branding their specialty—their passion. Doing so will allow you to focus your efforts on the core of your business.